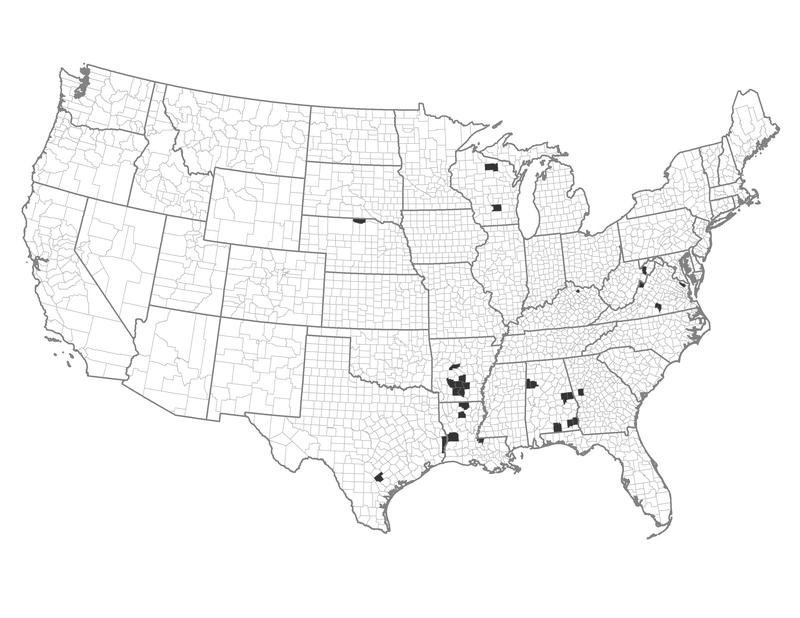 The majority of these counties are located in the southeast. They are predominately forested with an active forest products industry. This industry, combined with good road infrastructure supports a system of mechanical and strategic prescribed fire applications. There are many homes mixed into the landscape, which leads to problematic restoration of the fire regime. One of the best ways to reduce risk is to concentrate on lowering the number of intentional ignitions. Example of a Typical County — Fayette County, Alabama: This rural county lies 50 miles northwest of Tuscaloosa. Eighty-nine percent of the county is forested and this is nearly all privately held and it is occasionally burned. There may be an active forest products industry nearby, which could support fuel treatments. Treatments are economical as a precursor to prescribed fire.